Daisy and Dean are two of the cutest munchkins west of the 405 freeway. And, Dawn and Jae are some seriously sizzling hot ma and pop. Just check them out! We had so much fun shooting this amazing “style of life”Â family portrait session at their gorgeous home in Santa Monica. Heather & Mike - Oh my gosh! SO adorable. I love how the little girl plays to the camera! Erika and Donovan live in New York City but had a beautiful wedding here in Southern California. Their ceremony was held at the Temescal Gateway Park in Pacific Palisades (in the same park that I used to have my swim team practice 5 days a week in high school!). Then, the perfectly decorated dinner reception was held at the swanky Akwa Restaurant in Santa Monica. E&D are one of our first couples to add on the Next Exit Photobooth Experience. We set up our background during cocktail hour and the guests go wild! It is such a great way to kick off the party with an interactive experience for all of your happy friends and family. Please inquire with Cat if you are interested in adding-on the NEPBE to your Next Exit wedding or event photography package. Emi - I LOVE the image of the couple in front of the green door. Great color on all these. You guys are rockin’! Jen - Stunning veil shot!!! ed pingol - that ring shot is AWESOME!!! Adi and I are going crazy right now. We just ran out and bought the new issue of People Magazine. It’s a special edition all about Real Weddings, full of beautiful, fun, crazy and inspired stories of brides and grooms from around the country. Two of Next Exit Photography’s weddings were chosen! We are totally honored and completely psyched!!! Congrats to Heather and Daniel and Shelly and John, for helping us to get printed in this incredible publication!! Both Adi’s mom and my mom are veteran subscribers of People Magazine, so you can imagine the excitement in both of our family’s households!! Jen - Nice! Congrats guys!!!! Nicky - Congrats. Oh my gosh, how exciting. You guys totally deserve it!! Jeff K - That’s incredible news! Keep it up. Shiri Morgan - So awesome guys! I would wait for mom to give me her hers but I am SURE she is keeping this one. Am going out to buy it tonight! Congrats! laura novak - So great! Thank you for sending along the scans of mine as well. You’re the best! ed pingol - you guys totally deserve it. congrats!!!! now go out there and celebrate. Nanette - That is sooooo fabulous! Congrats, congrats, congrats! Kelly - awesome you guys! congrats! Adi and I had the pleasure of photographing these three gorgeous sisters for the second time. Brooke, 18, Karley, 15, and Margo, 11 are all three superstars. They are extremely bright, kind and athletic. They all had to rush off to their team practice following our shoot. Their mom, Jill, is BFF with Leslie, who is the mom to the three boys we photographed on the same beautiful afternoon (see the next post). Could it be possible that ALL of their friend’s kids are so much fun and easy to shoot?? Sign them up! 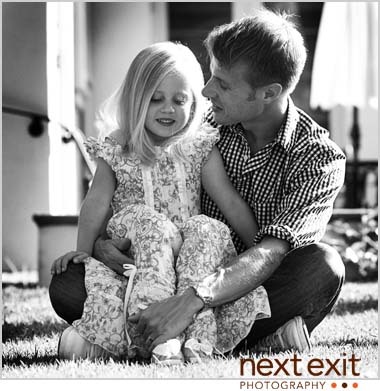 Next Exit Photography specializes in “the style of life”Â family portraiture in Los Angeles, Santa Barbara and Orange County. Heck, we’ll travel pretty much anywhere. We’ll come to you to capture everlasting memories and beautiful family heirlooms. 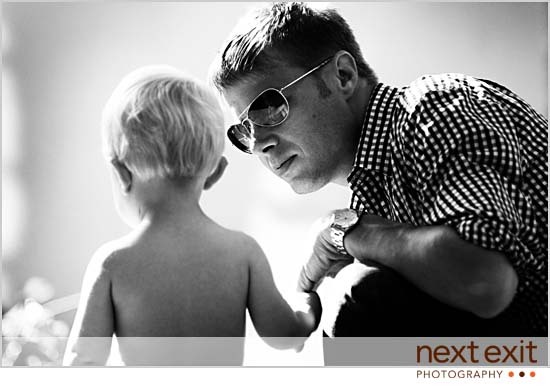 Please see our new portrait photography website which includes all of our current rates and information. I have a huge girly crush on all three of these boys. Corey is 10, Dylan is 12 and Alex is 18 (off to George Washington in the fall!) and they are all such charming and intelligent boys. Adi and I loved taking their family photos in the O.C. Mom said to make sure that we got them smiling because they never do for photos, but the experience we had was completely opposite. They wouldn’t stop cracking up all afternoon! leslie - It just doesn’t get any better than this. You two capture the souls of the people you are shooting. Every picture is a work of art. 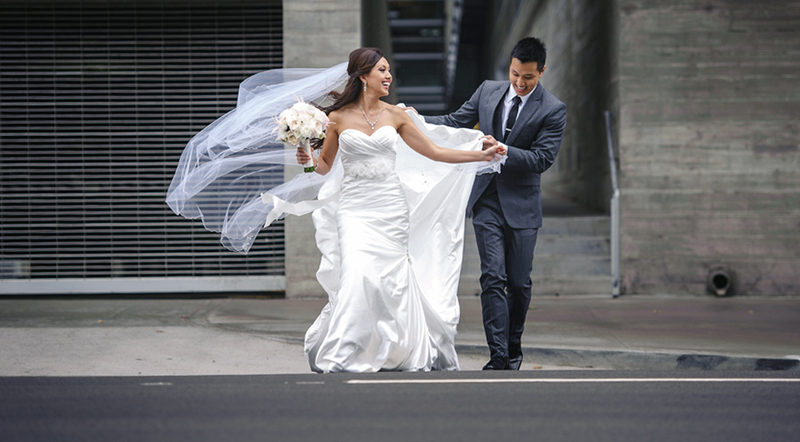 Renee and Jeff were married at the exquisite Hyatt Regency in Huntington Beach. We love working at this location! There are so many sweet places to shoot. Renee wore no less than three ball gowns on her wedding day. Jeff was super snazzed out in his Paul Smith tux. The getaway cars? Their buddy’s own personal Rolls AND Bentley. Thanks to both of you and your adorable families for letting us be a part of your day! Alfarooq - Hi, Cat and Adi. I love both of your work. This entry is so lovely, great pictures and looking forward to see more of your work in the furture.